Salomon van der Merwe was behind the counter, removing the rifles from a wooden crate. He was a small man, with a thin, pinched face framed by Dundreary whiskers. He had sandy hair, tiny black eyes, a bulbous nose and pursed lips. His daughter must take after her mother, Jamie thought. "Excuse me, sir . . ."
Van der Merwe looked up. "Mr. van der Merwe? My name is Jamie McGregor, sir. I'm from Scotland. I came here to find diamonds." "I hear you sometimes back prospectors." Van der Merwe grumbled, "Myn magtigl Who spreads these stories? I help out a few diggers, and everyone thinks I'm Santa Claus." "I've saved a hundred and twenty pounds," Jamie said earnestly. "But I see that it's not going to buy me much here. I'll go out to the bush with just a shovel if I have to, but I figure my chances would be a lot better if I had a mule and some proper equipment." Van der Merwe was studying him with those small, black eyes. "Wat denk ye? What makes you think you can find diamonds?" "I've come halfway around the world, Mr. van der Merwe, and I'm not going to leave here until I'm rich. If the diamonds are out there, I'll find them. If you help me, I'll make us both rich." Van der Merwe grunted, turned his back on Jamie and continued unloading the rifles. Jamie stood there awkwardly, not knowing what more to say. When Van der Merwe spoke again, his question caught Jamie off guard. "You travel here by bullock wagon, ja?" The old man turned to study the boy again. He said, finally, "We talk about it." They talked about it at dinner that evening in the room in back of the store that was the Van der Merwe living quarters. It was a small room that served as a kitchen, dining room and sleeping quarters, with a curtain separating two cots. The lower half of the walls was built of mud and stone, and the upper half was faced with cardboard boxes that had once contained provisions. A square hole, where a piece of wall had been cut out, served as a window. In wet weather it could be closed by placing a board in front of it. The dining table consisted of a long plank stretched across two wooden crates. A large box, turned on its side, served as a cupboard. Jamie guessed that Van der Merwe was not a man who parted easily with his money. Van der Meerwe's daughter moved silently about, preparing dinner. From time to time she cast quick glances at her father, but she never once looked at Jamie. Why is she so frightened? Jamie wondered. When they were seated at the table, Van der Merwe began, "Let us have a blessing. We thank Thee, O Lord, for the bounty we receive at Thy hands. We thank Thee for forgiving us our sins and showing us the path of righteousness and delivering us from life's temptations. We thank Thee for a long and fruitful life, and for smiting dead all those who offend Thee. Amen." And without a breath between, "Pass me the meat," he said to his daughter. The dinner was frugal: a small roast pork, three boiled potatoes and a dish of turnip greens. The portions he served to Jamie were small. The two men talked little during the meal, and Margaret did not speak at all. When they had finished eating, Van der Merwe said, "That was fine, Daughter," and there was pride in his voice. He turned to Jamie. "We get down to business, ja?" Van der Merwe picked up a long clay pipe from the top of the wooden cabinet. He filled it with a sweet-smelling tobacco from a small pouch and lighted the pipe. His sharp eyes peered intently at Jamie through the wreaths of smoke. "The diggers here at Klipdrift are fools. Too few diamonds, too many diggers. A man could break his back here for a year and have nothing to show for it but schlenters." "I--I'm afraid I'm not familiar with that word, sir." "Fools' diamonds. Worthless. Do you follow me?" "I-- Yes, sir. I think so. But what's the answer, sir?" Jamie looked at him blankly. "They're an African tribe up north. They find diamonds--big ones--and sometimes they bring them to me and I trade them for goods." The Dutchman lowered his voice to a conspiratorial whisper. "I know where they find them." "But could you nae go after them yourself, Mr. van der Merwe?" Van der Merwe sighed. "No. I can't leave the store. People would steal me blind. I need someone I can trust to go up there and bring the stones back. When I find the right man, I'll supply him with all the equipment he needs." He paused to take a long drag on the pipe. "And I'll tell him where the diamonds are." Jamie leaped to his feet, his heart pounding. "Mr. van der Merwe, I'm the person you're looking for. Believe me, sir, I'll work night and day." His voice was charged with excitement. 'I'll bring you back more diamonds than you can count." Van der Merwe silently studied him for what seemed to Jamie to be an eternity. When Van der Merwe finally spoke, he said only one word. "Ja." Jamie signed the contract the following morning. It was written in Afrikaans. "I'll have to explain it to you," Van der Merwe said. "It says we're full partners. I put up the capital--you put up the labor. We share everything equally." Jamie looked at the contract in Van der Merwe's hand. In the middle of all the incomprehensible foreign words he recognized only a sum: two pounds. Jamie pointed to it. "What is that for, Mr. van der Merwe?" "It means that in addition to your owning half the diamonds you find, you'll get an extra two pounds for every week you work. Even though I know the diamonds are out there, it's possible you might not find anything, lad. This way you'll at least get something for your labor." The man was being more than fair. "Thank you. Thank you very much, sir." Jamie could have hugged him. Van der Merwe said, "Now let's get you outfitted." It took two hours to select the equipment that Jamie would take into the bush with him: a small tent, bedding, cooking utensils, two sieves and a washing cradle, a pick, two shovels, three buckets and one change of socks and underwear. There was an ax and a lantern and paraffin oil, matches and arsenical soap. There were tins of food, biltong, fruit, sugar, coffee and salt. At last everything was in readiness. The black servant, Banda, silently helped Jamie stow everything into backpacks. The huge man never glanced at Jamie and never spoke one word. He doesn't speak English, Jamie decided. Margaret was in the store waiting on customers, but if she knew Jamie was there, she gave no indication. Van der Merwe came over to Jamie. "Your mule's in front," he said. "Banda will help you load up." "Thank you, Mr. van der Merwe," Jamie said. "I--"
Van der Merwe consulted a piece of paper covered with figures. "That will be one hundred and twenty pounds." Jamie looked at him blankly. "W--what? This is part of our deal. We--"
"Wat bedui'di?" Van der Merwe's thin face darkened with anger. "You expect me to give you all this, and a fine mule, and make you a partner, and give you two pounds a week on top of that? If you're looking for something for nothing, you've come to the wrong place." He began to unload one of the backpacks. Jamie said quickly, "No! Please, Mr. van der Merwe. I--I just didn't understand. It's pefectly all right. I have the money right here." He reached in his pouch and put the last of his savings on the counter. Van der Merwe hesitated. "All right," he said grudgingly. "Perhaps it was a misunderstanding, neh? This town is full of cheaters. I have to be careful who I do business with." "Yes, sir. Of course you do," Jamie agreed. In his excitement, he had misunderstood the deal. I'm lucky he's giving me another chance, Jamie thought. Van der Merwe reached into his pocket and pulled out a small, wrinkled, hand-drawn map. "Here is where you'll find the mooi klippe. North of here at Magerdam on the northern bank of the Vaal." Jamie studied the map, and his heart began to beat faster. "How many miles is it?" "Here we measure distance by time. With the mule, you should make the journey in four or five days. Coming back will be slower because of the weight of the diamonds." When Jamie McGregor stepped back out onto the streets of Klipdrift, he was no longer a tourist. He was a prospector, a digger, on his way to his fortune. Banda had finished loading the supplies onto the back of a frail-looking mule tethered to the hitching post in front of the store. Banda turned and looked him in the eye, then silently walked away. Jamie unhitched the reins and said to the mule, "Let's go, partner. It's mooi klippe time." On her ninetieth birthday, Kate, an enigmatic and ruthless businesswoman, goes back to the past and relives the history of all her family members, especially her father's. Master of the Game traces six generations of the McGregor family, beginning with Jamie Mcgregor, the diamond merchant. 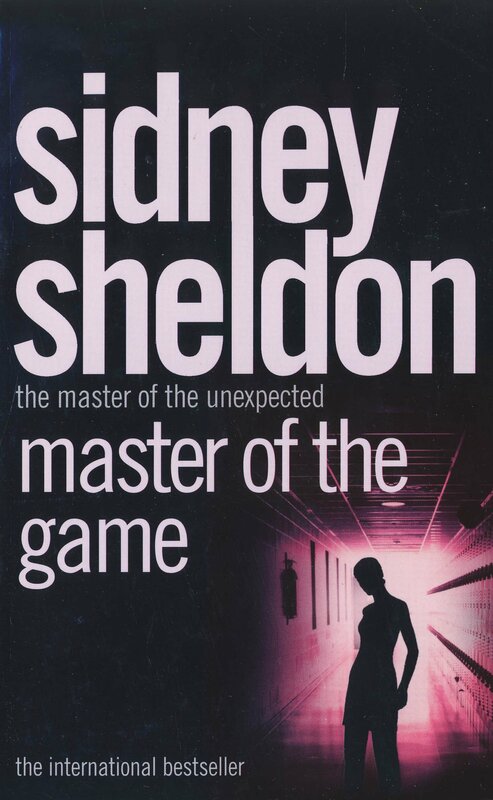 A masterful tale of deceit, murder, and power, this book is without a doubt Sheldon's magnum opus.